Wine of Simonsberg - Stellenbosch, South Africa. Cassis and hints of cedar and liquorice lead to an intense palate with fine-grained tannins. Enjoy now or within 10-15 years of vintage. 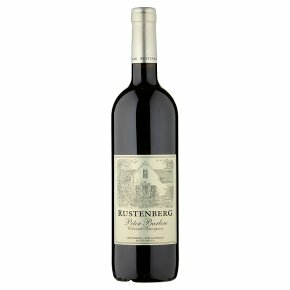 The name pays tribute to the man who recognised the potential of Rustenberg, which he bought in 1940. His family now continue the legacy.